Decorative USA map laptop sticker designed with the states written on the map. 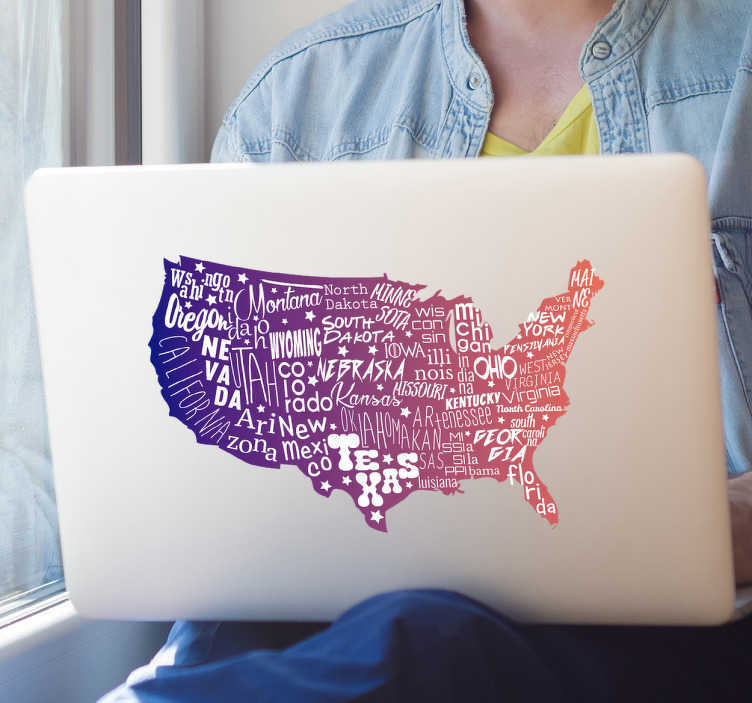 Decorate your Mac or PC with this beautiful American map sticker that surely will make your laptop the most stylish of the all at your work or university. Made of high quality vinyl which make the sticker long-lasting and protects your computer from scratches.